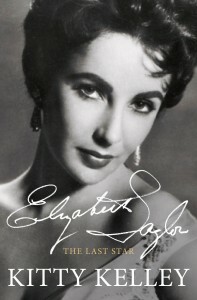 New York, N.Y., Friday, April 15, 2011 – Simon & Schuster announces the official e-book release today of ELIZABETH TAYLOR: The Last Star by Kitty Kelley. First published by Simon & Schuster in 1981, this e-book edition has been updated with a new final chapter by Kelley. Upon Elizabeth Taylor’s death, Kitty Kelley’s book was widely cited as one of the most revealing and memorable works on the life and times of the international icon. The author will be donating proceeds to amfAR in tribute to Elizabeth Taylor’s fight for a cure for AIDS. Kitty Kelley is a journalist who has written for the Washington Post, the New York Times, Newsweek, Good Housekeeping and more. She is the bestselling author of Jackie Oh! ; Elizabeth Taylor: The Last Star; His Way: The Unauthorized Biography of Frank Sinatra; Nancy Reagan: The Unauthorized Biography; The Royals; The Family: The Real Story of the Bush Dynasty; and Oprah: A Biography.